Prepare gelatin using speed-set method as directed on package. Refrigerate at least 1 hour or until firm. Meanwhile, beat whipping cream in large bowl until stiff peaks form. Gently fold set gelatin into whipped cream. (Mixture will look speckled.) Gently stir in strawberries. Store in refrigerator. Use your family's favorite fruit-flavored gelatin in this three-ingredient recipe. 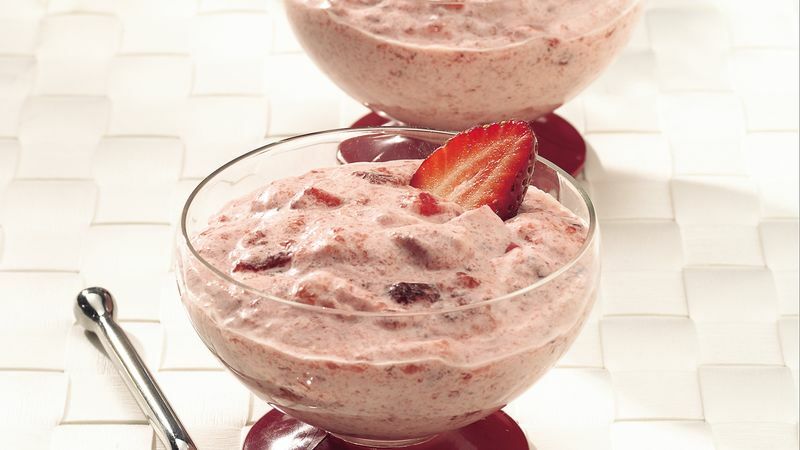 Any fresh berries or combination of berries would be nice in this elegant fruit whip. Nondairy whipped topping can be used in place of the whipped cream. Skip the whipping step and use 2 cups thawed whipped topping to replace the whipping cream.